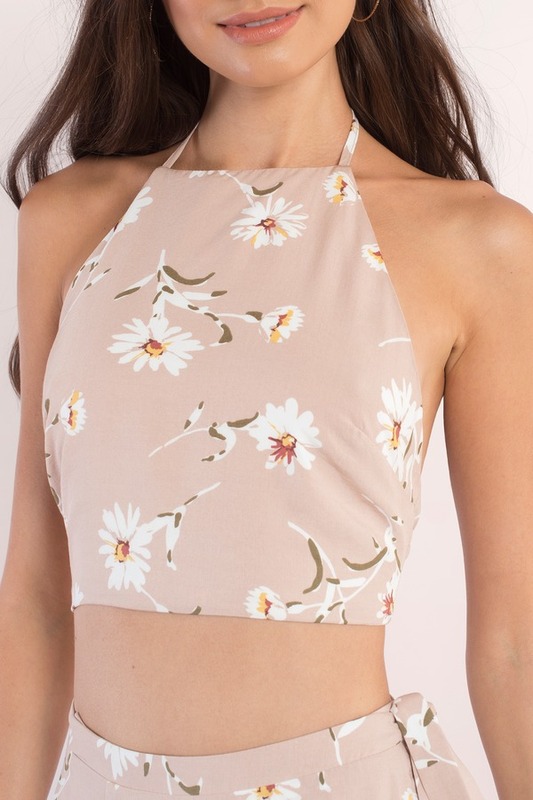 Check out Tobi's Christi Floral Print Halter Top Show your free spirit with the Christi Taupe Multi Floral Print Halter Top designed by Tobi! Featuring a cute floral print with a halter neckline and back tie closure. Show your free spirit with the Christi Taupe Multi Floral Print Halter Top designed by Tobi! Featuring a cute floral print with a halter neckline and back tie closure.